Find Lake Wylie, NC Homes for sale. View Photos, Maps and MLS Data Now! Chapel Cove - A Must See to Appreciate.Community Pool, Club House, Tennis Courts, Basketball Courts and Take Walking path to the Lake for Canoeing and Kayaking. MLS#3498495. Southern Homes of the Carolinas. Home sold AS IS. Needs TLC. MLS#3497497. EXP REALTY LLC. The Palisades - 2-car garage indoor access located next to kitchen & additional storage under stairs available, complete with blinds, fridge, gas range MLS#3498485. Lennar Sales Corp. The Palisades - 2-car garage indoor access located next to kitchen & additional storage under stairs available. MLS#3498494. Lennar Sales Corp.
Conveniently located near schools, airport, shopping, dining and more! This is an amazing opportunity! ! MLS#3498422. Bliss Real Estate LLC. The Palisades - Golf/Tennis memberships avail at additional fees. Community connects w/Lake Wylie shoreline. MLS#3498282. Ben Bowen Properties. Easy access to Charlotte Douglas Airport, low SC taxes and award winning schools. MLS#3496965. Keller Williams Fort Mill. 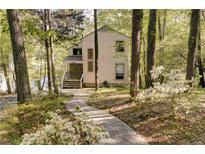 Lake Ridge - The community is close to the Catawba River and Lake Wylie Boat Landings. Fort Mill Schools. MLS#3498145. Keller Williams Fort Mill. Come home to Resort living every night! Great Clover schools! MLS#3495509. RE/MAX Executive. The Palisades - This home is beautiful & move-in ready. MLS#3498016. Allen Tate Ballantyne. The options are endless when you call Rudence Court Home MLS#3497186. Keller Williams South Park. Community features are here, look at your location to Lake Wylie, and even McDowell Nature Preserve...tons to do if you choose? Great community & location! MLS#3498313. Keller Williams South Park. Tega Cay is a recreational community of Lake Wylie offering public golf course, driving range, club house, boat ramp, marina, tennis, parks, walking trails, beaches, sand volleyball, access for kayaking/paddle boarding, fishing. No HOA! MLS#3498000. Allen Tate Ballantyne. Windward Cove - Neighborhood features are picnic area, dock and boat put in area. MLS#3490551. Regina Farmer Realty, LLC. Easy access to shopping, dining, airport, & I-77. Move in Ready! MLS#3492803. Scarlett Real Estate, LLC. Backyard affords privacy with new fence and mature tree line. MLS#3496446. Allen Tate Providence @485. Heron Harbor - Only a short 20 minute drive to Charlotte where you can enjoy uptown fun like Charlotte Knights baseball, 5 star restaurants and Charlotte Hornets games. MLS#3497462. Keller Williams Fort Mill. Southbridge Forest - Roof/ 2010. Everything is immaculate & move-in ready! MLS#3497809. First Properties of the Carolinas Inc. This home is a must see, it will not last long! MLS#3491941. Wilkinson ERA Real Estate. Well plumbing has been updated, and HVAC was recently serviced by Morris Jenkins. MLS#3497694. Keller Williams South Park. Tioga Pointe - on the first floor, chef's kitchen with stainless steel appliances, granite tops, handmade solid cherry cabinets throughout, 2 pantries, stacked stone back splash, great Room with fireplace, loft and mud room w/built-ins, gleaming hardwood floors throughout, 2 attached car garage, no HOA, sitting on over 1 acre level lot. IMPECCABLE CONDITION! MLS#3496760. Oprea Realty Group LLC. Looking for peace, serenity and relaxation then this is the house for you. MLS#3495300. Keller Williams Fort Mill. Buyer will be responsible for obtaining construction financing which will also cover the cost of the lot listed at $285,000, see MLS #3393105. MLS#3496463. Keller Williams Fort Mill. Huge workshop/flex space/man cave on lower level of the home. MLS#3497173. RE/MAX Executive. All in a private wooded setting. MLS#3497071. Champion Properties. These statistics are updated daily from the Carolina Multiple Listing Services, Inc. For further analysis or to obtain statistics not shown below please call Highgarden Real Estate at (704) 661-0044 and speak with one of our real estate consultants.